The month of December is fast approaching. No matter what your beliefs, you may want to help celebrate The 12 Days of Guyness! The guidelines are very similar to the October Animated GIF challenge. 2. Suggest some text. If I make an animated gif or graphic, it might be used in conjunction with your screencap. 3. Submit your screencap either as a comment below or through the Contact bccmee form. Be sure to let me know what username you want to be used for credit. Remember, there are only 12 days of Guyness which means only 12 of you can collaborate on this challenge, so please hurry! For your enjoyment, here is a graphic created by Dhana after finishing the animated gif tutorial. I really look forward to your participation. I couldn’t be more excited! Edit: All 12 participation spots are now filled. Thank you again for your suggestions. If you have been told you are in the queue you have time to change your mind for choice of scene if you contact me by Sunday, 13 November 2011. 🙂 There will be another challenge announced this month so if you were unable to get your suggestion submitted for The 12 Days of Guyness, then you will have another opportunity! Also my next challenge will be announced at a different time of day so be prepared, LOL! 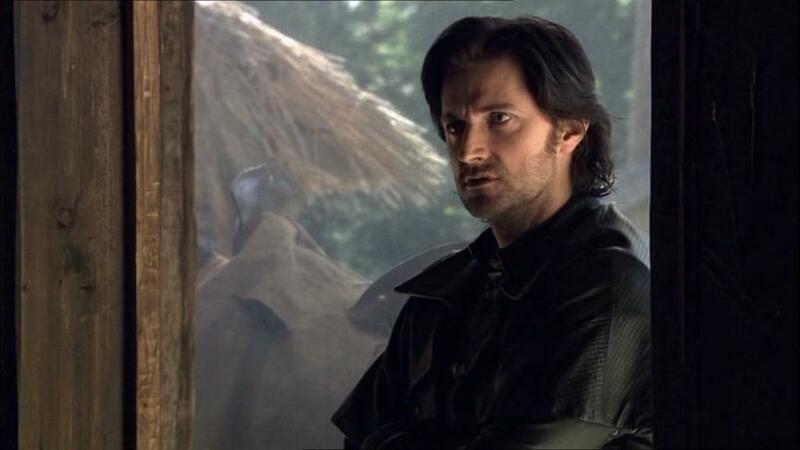 This entry was posted in Animated GIFs, Graphics and tagged animated gifs, fan videos, graphics, richard armitage, richardarmitagenet, richardarmitagenet.com, richardarmitagenetdotcom, robin hood, sir guy of gisborne. Bookmark the permalink. I’ve just send you my proposition through the Contact bccmee form. Have you received it now ? Otherwise, I post the message here… or did you prefer by e-mail ? @April: Your message still hasn’t come through. Could you please try the form again to test it for me? I sent myself a message and it worked fine so I hope it’s not broken! If that doesn’t work, I’d prefer you post a message here in the comments. I have send it again. And I also post my proposition here. Yes, success! Thanks for sending it again. Received with thanks. Ooh, what fun! I’ll do my best to participate! I did it!!! Thanks Genie!! Kisses. @antoniaromera: Thanks for your submission! I think there ware something wrong with the picture http address, I have change something and now the request was sent successfully. @April: Actually I was mistaken. I received your comment but still not the contact form. No worries though, I have your screencap in the queue. @April: Yes, you’re right! I am getting confused, LOL! @Ania: Thanks for your submission! You are in the queue! @Ania – Fantastic sweet moment. Very suitable to use the word “my proposal” .LOL. @Alfie: Good eye! I didn’t catch the word usage till you mentioned it! @Alfie: you’re right! 🙂 Just now perceived this. LOL! When ever I think of Guy – I almost think SMIRK (love that word – in danish there isn´t such a word, that really describes what he do). So I found a picture (S3, ep.5) where Guy smirks at Robin, when he comes to his camp. @Alfie: Thanks so much for your great screencap. If the word “smirk” is ever introduced into the Danish dictionary, they can use that picture of Guy to illustrate, LOL! You are in the queue. Hello! my first Challenge! Thanks! @Delia: Thanks so much for your submission via the contact form. You are in the queue. 🙂 I’m so delighted to have you aboard on your first challenge… I hope it’s the first of many! I’m so happy for another challenge!!! Here’s my screencap. RH Season 2 Ep.2 and the text can be something like “up to no good” or whatever you think it fits with that smirk …. @Ana Cristina: Thanks so much for your submission. You are in the queue! I would love to provide one of the Sir Guy design suggestions. Maybe I’m sentimentl since I was just at a wedding on Saturday. But I want Guy to have his happy ending. Sighhh! Text could be: For better or for worse, not! @Gratiana: Thanks for your thorough recommendation! You are in the queue! I hope I got under the wire! The words are: Doing the Guy Flounce. Bwahaha! @judiang: You made it! Thanks for your submission. You are in the queue! Only 12 days and so many requests already! My congratulations to Dhana for the gif. She has been an excellent student – better than me *deepsigh* – and did an amazing animation of Guy! @Carla: Yes, you were one of the very first to submit via the contact form! You are in the queue! I was looking for the scene where Guy is disgusted by the sheriff getting out of the bathtub, but can’t locate it at the moment: it’s a pity, because it’s really fun (for a gif, obviously). 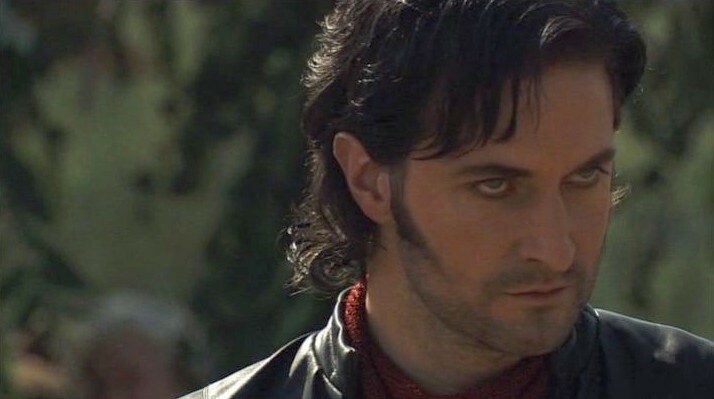 what about a gallery of Guy’s smirks? Looking forward the 12 days of Guyness! @Mamma_T: Thanks very much! We have a lot of “smirk” requests so if you would like to go and find that scene for me, I will hold your place in line. You are #11 in the queue! Only room for one more participant! I’ll be back to you with the coordinates of that scene later today, hopefully. My wish – and I have sent you the details via contact form – would be a special Guy moment in 3.10 “Bad Blood”, where Guy is shot with a little arrow by Robin Hoods father. He is swaying so gracefully, that I always watch and re-watch (I don’t reveal how often) this scene, when I see this episode. That´s an escellent idea, bcc, but only 12 days? And with so much wonderful ideas ? Congratulations ladies for your excelent choices. I guess that i do not need send any screencraps, because you chose very well. I´m look forward to see the final work. @Tereza: I appreciate your support so much. You are very kind. Yes, all the spots have been filled since many people submitted through the Contact bccmee form. 🙂 There will be another challenge posted this month! Oh what a lovely challenge to be able to see! 12 days of Guyness! Thanks to Bccmee, Sinjoor, and Twitter thru my Kindle for helping me to restore my computer! @Carolyn: Welcome back to the world of color graphics, LOL! @Carolyn: Perhaps you’d care to join in as a participant for our next challenge. 🙂 Thanks for all your ongoing support! I have sent you a cap I made possible because of your advice regarding the Any DVD program helping with region issues. I could actually play my Season 2 disc in my computer without changing the settings of my computer. Capped my day off so nicely (ha ha). @beengizzied: Thanks for your submission through the comment form earlier. You are #12 in the queue! The posts will not be made in any particular order though. Can’t wait to see what will come out on my birthday 😀 Yay!!! @Calexora: Ooh, happy birthday in advance! When is your birthday? I come too late to participate. I’m very impatient to see the result. Dhana , your animated gif is simply gorgeous! Thanks so much for all your support! And I agree, Dhana’s animated gif is simply amazing.